Horrible isn't it. Trouble is that it's in frightening good condition. Nothing was needed to make this a Scraping Scrap motor, other than to lop off a few coils. 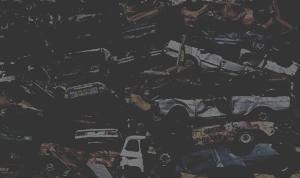 It has a 4.3 v8 that is one of the slowest cars in the Scraping Scrap fleet. It does about 70mph flat out and less miles per gallon than we would dare mention. Sound bloody cool though. 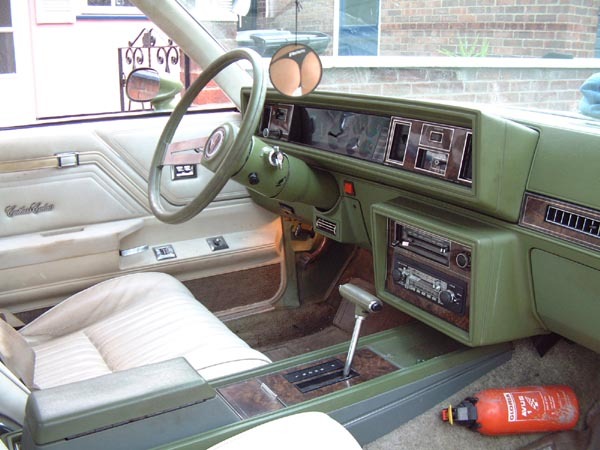 Oh, and check out that white pimp interior. Nice. Currently for sale for about £1200.